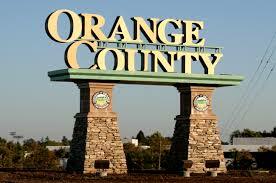 Many employers in Orange County care about their employees, pay them fairly, and try their best to follow the law. Unfortunately, many employers in Orange County also engage in wrongful termination of employees, retaliate against employees who complain or take medical leave, do not provide reasonable accommodations to disabled employees, do not follow California’s wage an hour laws regarding commissions, overtime, meal/rest periods, and try to silence employees who speak up at work about illegal conduct. The Orange County employment law lawyers at Azadian Law Group, PC work tirelessly to ensure that their clients get compensated for their injuries and are in the best possible position to continue with their careers. Our employment lawyers take the time to understand the facts of a potential case, thoroughly analyze relevant documents, and give an honest assessment of the case from the very start. As we do not charge our clients anything and only get paid from a recovery for the client, you know that our employment lawyers are very good at what they do and are honest in their assessments of wrongful termination and other employment law cases. To speak with one of our employment law attorneys today for a free consultation, we welcome you to call us at 949-662-5405.